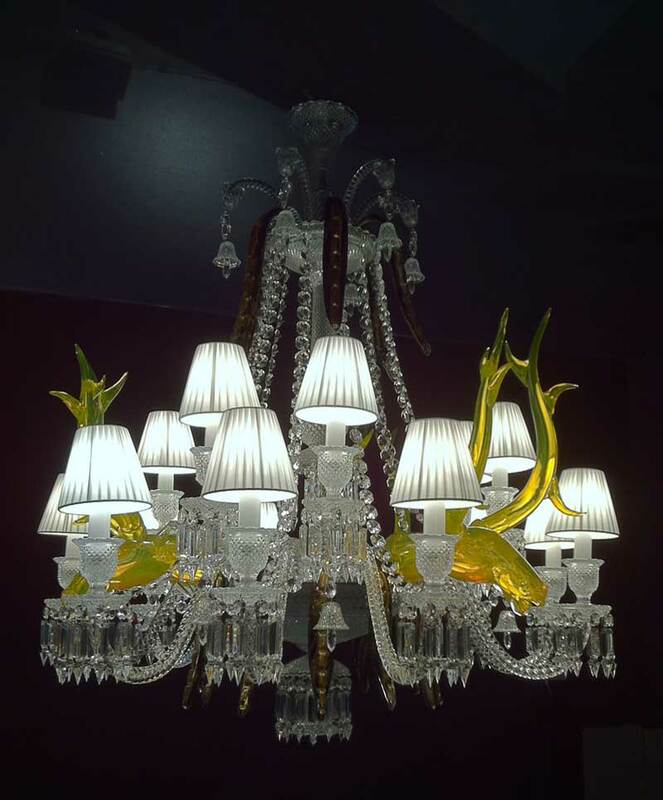 A French painter and sculptor, Aristide Naean learned the art of glass from the greatest master glassmakers in Murano. 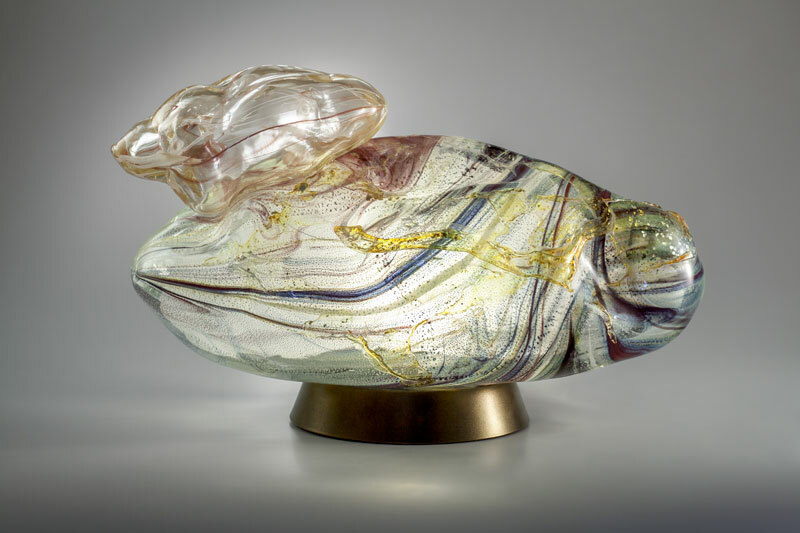 His pictorial experience, his colors, his sense of light and shade find a sculptural dimension through the glass. 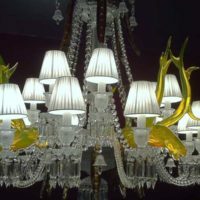 Najean creates in his own glass factory – the Cathedral – luminous sculptures, light installations and works of art; unique pieces in which painting and sculpture blend. 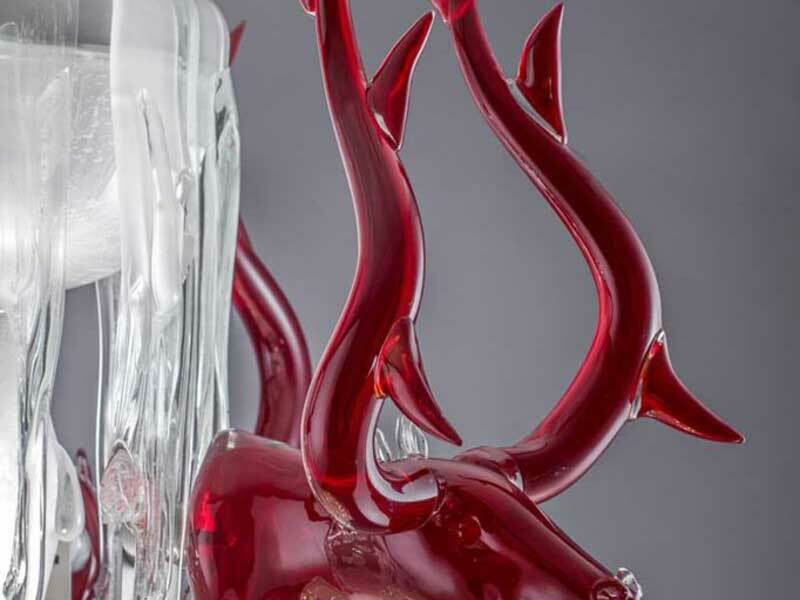 Overcoming the legacy of Murano tradition, Aristide brought a new artistic impulse to the world of contemporary glass art. 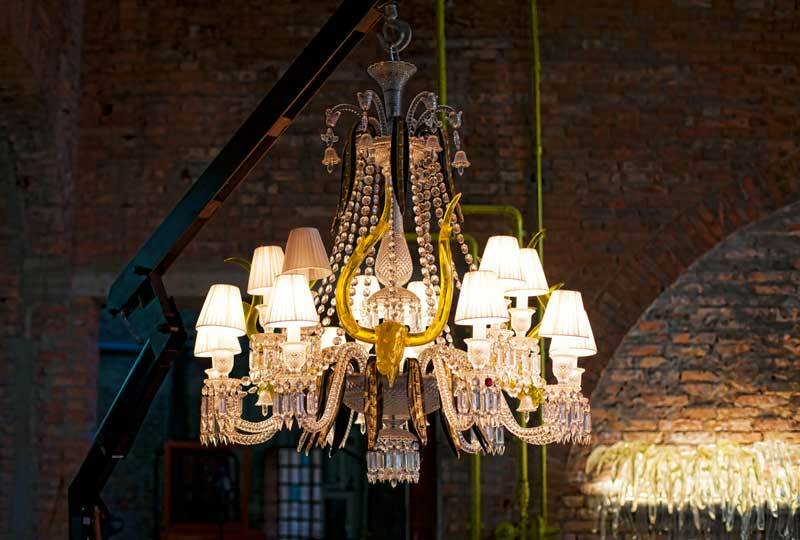 IN THE HEART OF MURANO. 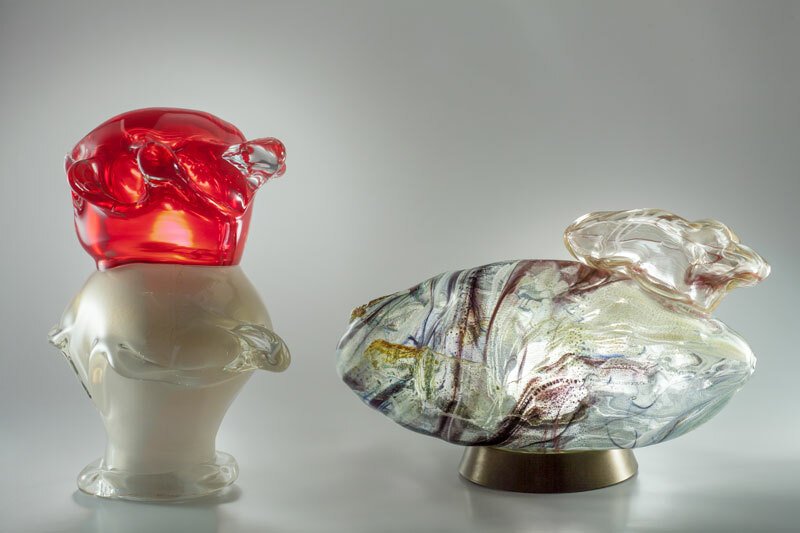 Najean overtakes the venetian tradition of glass making, and seizes at once the exceptionality of this material, kept day and night in a glowing lava. 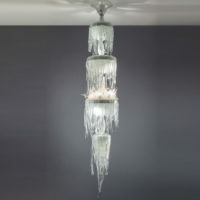 For years, he learns about, rearranges his color palette, tames the glass, by lengthening it, stretching it, blowing it. 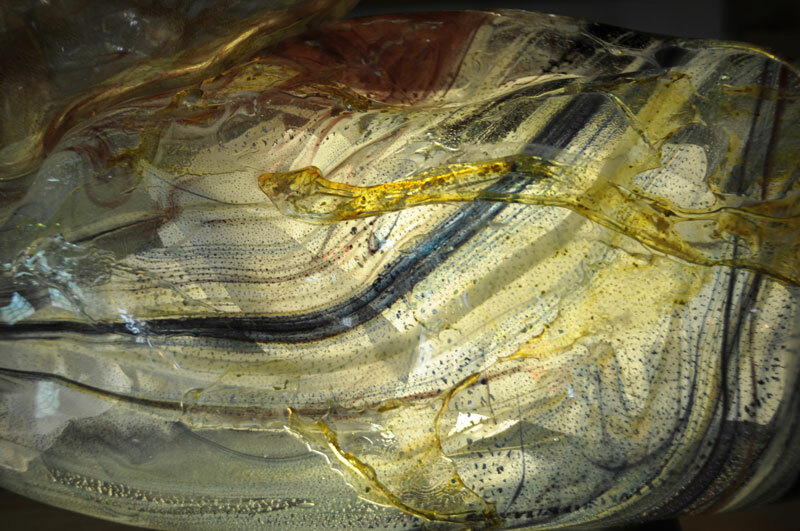 Asking for its permission and capturing the light, Aristide combines this mineral substance and subdues it to his pictorial researches, his imagination and his poetry, bringing out new original shapes from identical gestures that have gone through centuries. 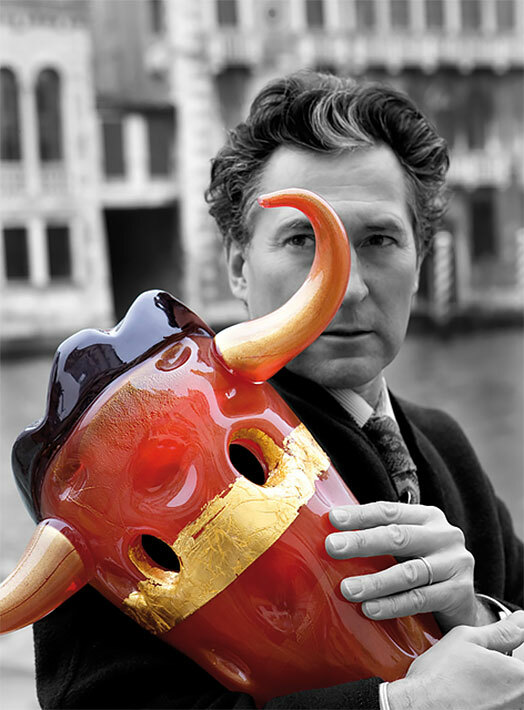 Sea, sand and fire organize Murano`s life. 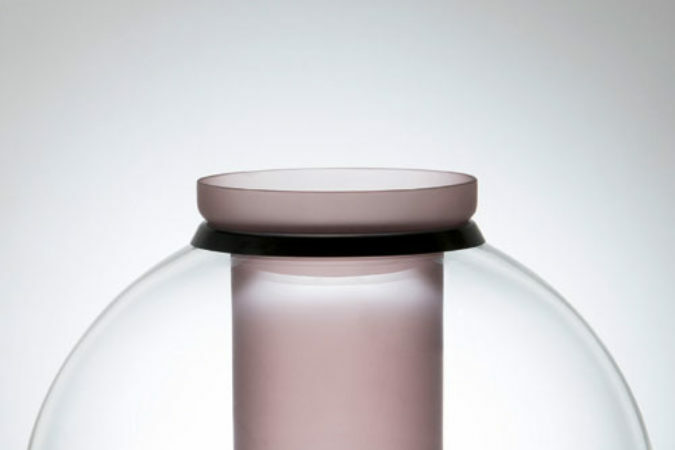 At dawn, the smelt glass calls its completion and seeks the shape that only crystallization will fix. 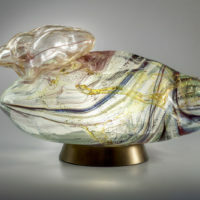 Like a ferryman, the glass artist accompanies the glass from one consistence to another, while infusing poetry, energy, life. Among the loud voices of the workers that cover the perpetual noise of the oven, it is indeed the Glass which holds the final word. Carrying out successfully his commissions, Aristide himself leads his team of glassmakers. 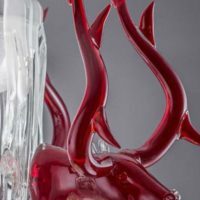 Under his instructions, with the aid of secular instruments, his highly skilled master glass-makers carve the hot glass with precise, rapid gestures. 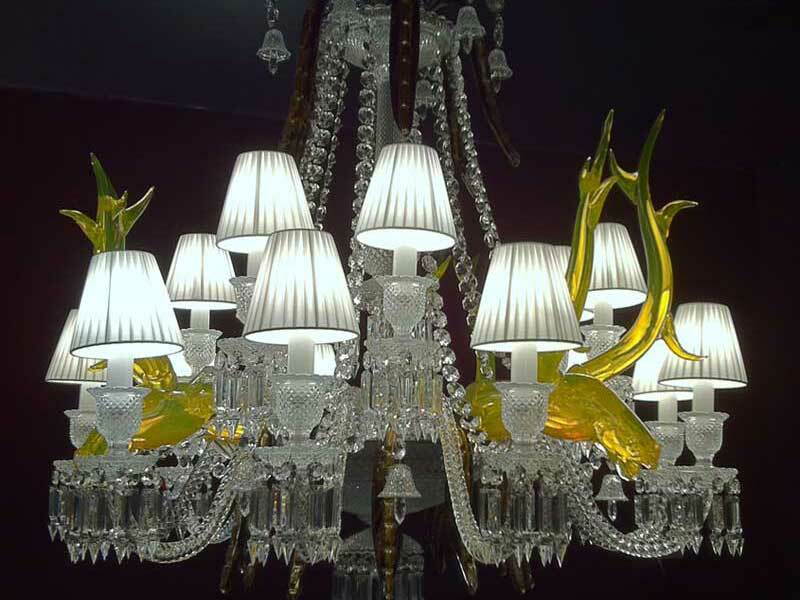 Their task is to prepare the mineral colors, to apply the gold leaf, to bring back to the flames every two minutes the glass cane. All in one breath, held in check by the glass and its short malleability, while the snoring furnace mantains its burning temperature. 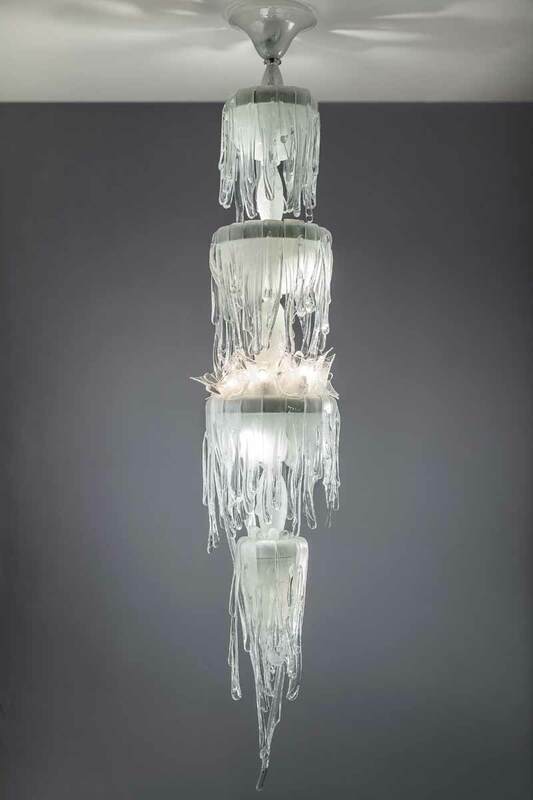 Najean’s work has caught the attention of world-renowned designers such as: Jean-Michel Wilmotte, Patrick Jouin et Sanjit Manku, Bruno Moinard and Philippe Starck, having opened the way. 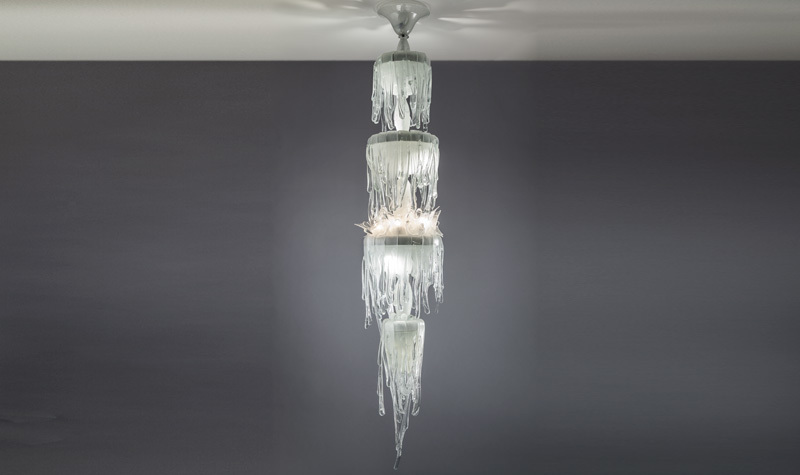 In 2013, invited by Starck, Aristide works with Baccarat Crystal and their Zenith sur la Lagune collection, giving as a result a spectacular chandelier. 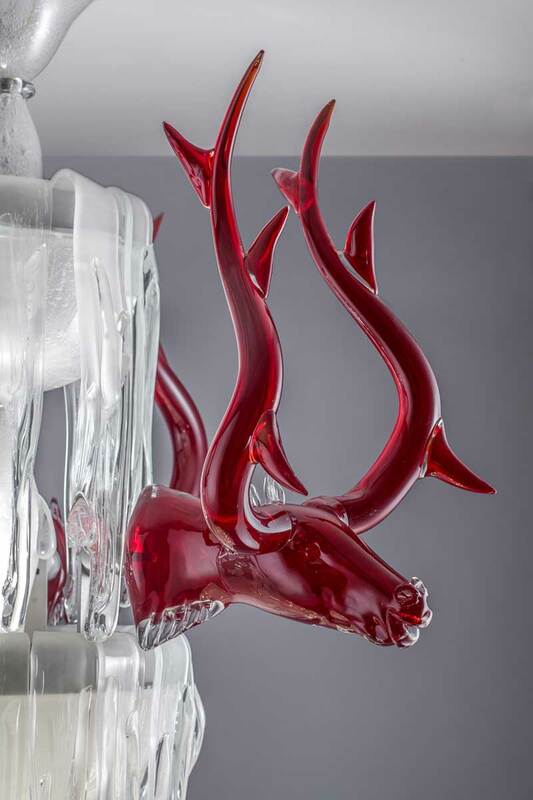 The rival French and Italian glass traditions are brought together for the very first time, with Najean’s brightly coloured stags bursting from Baccarat’s intricate, sparkling cut-glass chandelier. 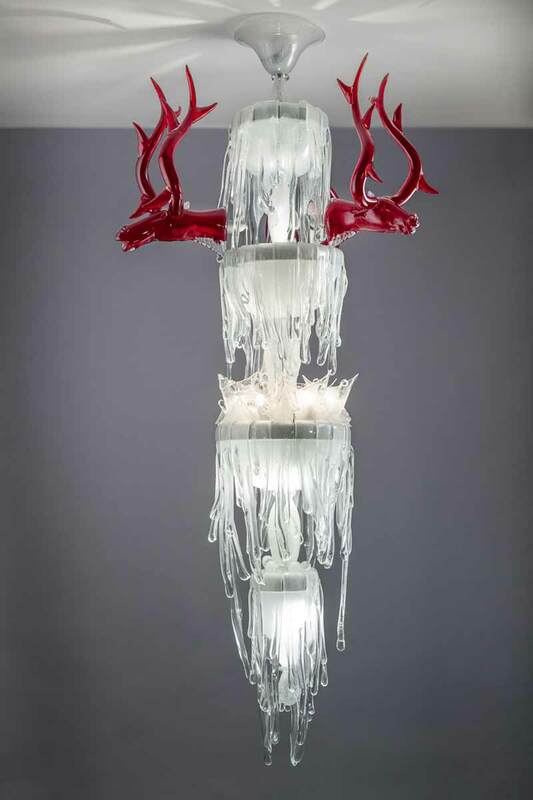 Najean’s sculptures arise from his insatiable curiosity and are the answer to it. Beyond the aesthetic, a serene presence arises. From his pictorial experience, Najean kept the notion of a single dated, signed work. 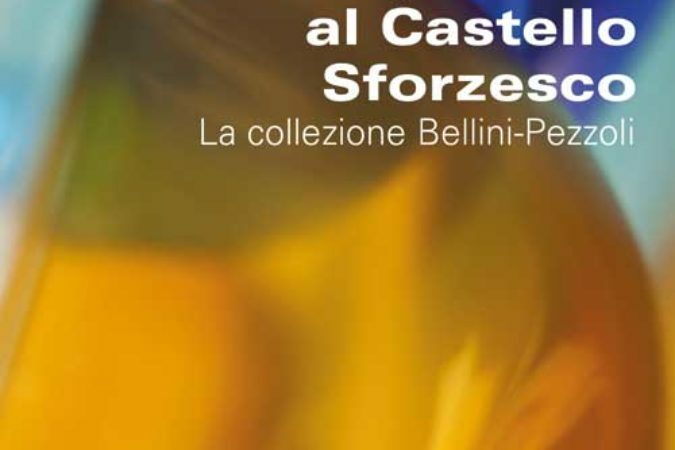 Each piece is conceived in this exclusivity: its own story and Aristide’s joy of sharing its conception with the person to whom it is dedicated, at his colors, themes and sensitivity. 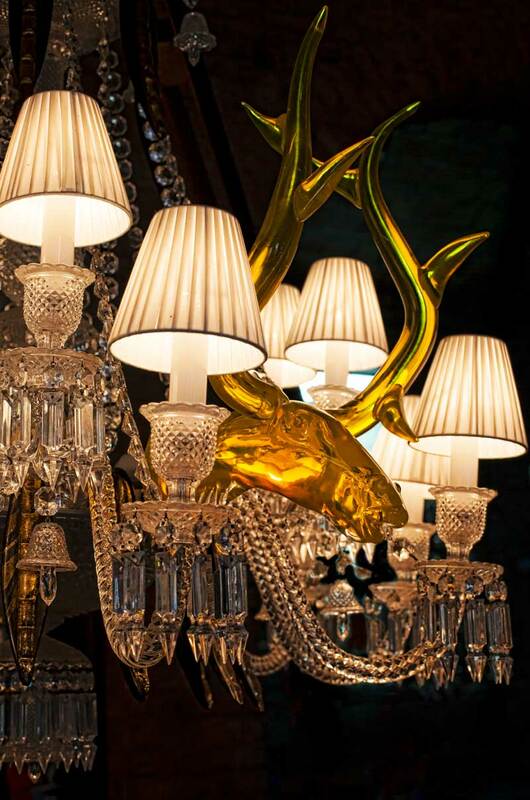 More than only bespoke, fitting exactly. Adding the light, not only physical light, but the light of the heart gives life to a radiating artwork, in which art becomes a presence for the other.